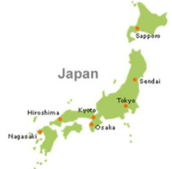 Japan in comprised of islands east of North and South Korea. 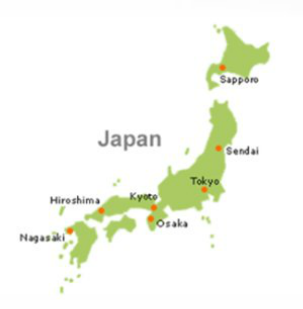 Tokyo is Japan's capital and largest city. Listen to Japan's National Anthem below. The title is "Kimi Ga Yo". Follow along with the English translation and take notice of how few lyrics there are! 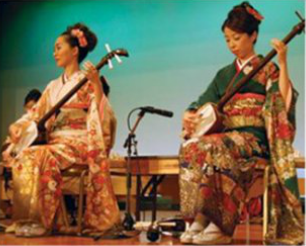 Japan has a rich history of music and musical instruments. Below we will go through some of these instruments! The Shaminsen is similar to an Indian sitar. Take a look at the picture and think about which american instrument it looks like! These are very large drums usually held on a type of stand. They are struck by sticks called bachi. They produce a very loud rumbling sound. Watch and listen to the video below! 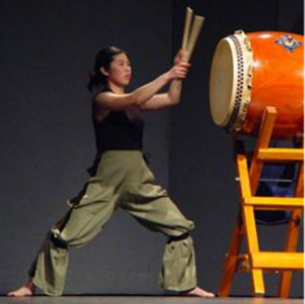 This is an example of a Shamisen and Taiko drum players. The title of this piece is translated as "Lightening". Kotos are another type of Japanese stringed instruments. They usually have 13 strings and are often, but not always, played bu females in an ensemble or in a solo piece. 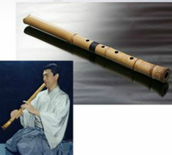 The shakuhachi is a Japanese flute. 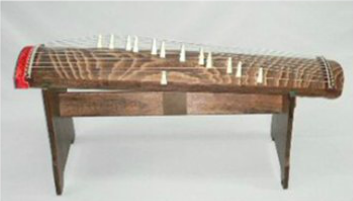 It is made from bamboo and similar to a wooden instrument that many of you have played in school. Can you think of the instrument that I'm talking about? Below is a video of Japanese musicians performing on the koto and shakuhachi.